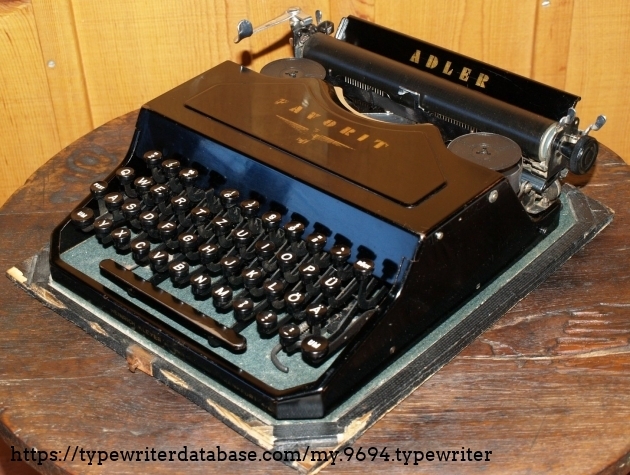 Justin De Mello 1940 Adler 2 Serial # 594208 1940 Adler 2 typewriter, Serial # 594208 Justin De Mello's 1940 Adler 2 typewriter. 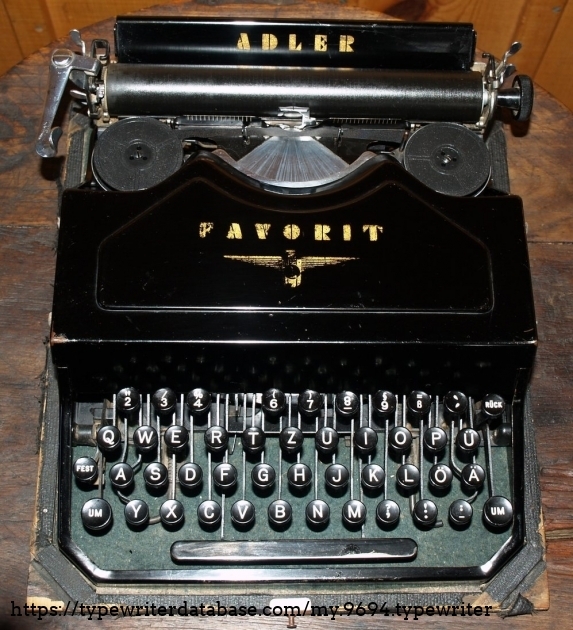 2017-12-17 2019-04-12 From the Virtual Typewriter Collection of Justin De Mello: 1940 Adler 2 Serial # 594208 This is an Adler Favorit 2 I got as part of a batch of 6 typewriters. It has a couple of missing pieces but at 17 bucks I bought it. It appears that the paper holder is missing but otherwise types. The 5/& key is missing but it does type the proper character. 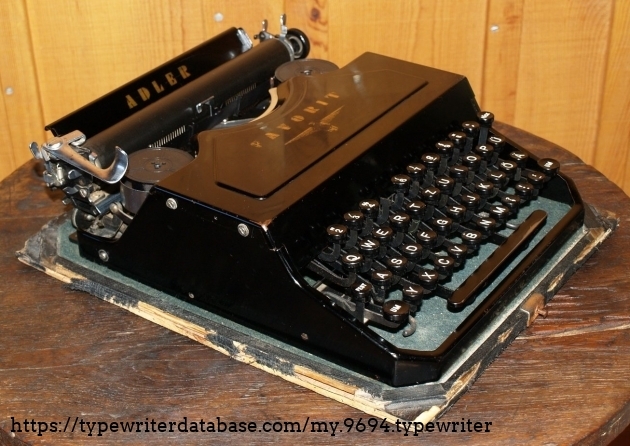 This is an Adler Favorit 2 I got as part of a batch of 6 typewriters. It has a couple of missing pieces but at 17 bucks I bought it. It appears that the paper holder is missing but otherwise types. The 5/& key is missing but it does type the proper character. 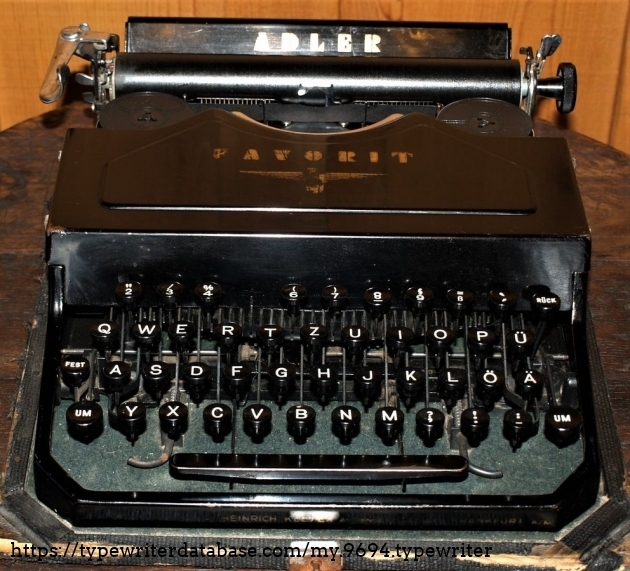 RESEARCH NOTE: When researching the Adler 2 on a computer with lots of screen real estate, you may find that launching the Adler Serial Number page and the Adler 2 By Model/Year/Serial page in new browser windows can give you interesting perspectives on changes throughout the model series. 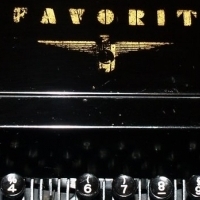 1930’s ZEPPELIN COMPANY “Adler Favorit 2” Typewriter - Art Deco Graphics, Rare!